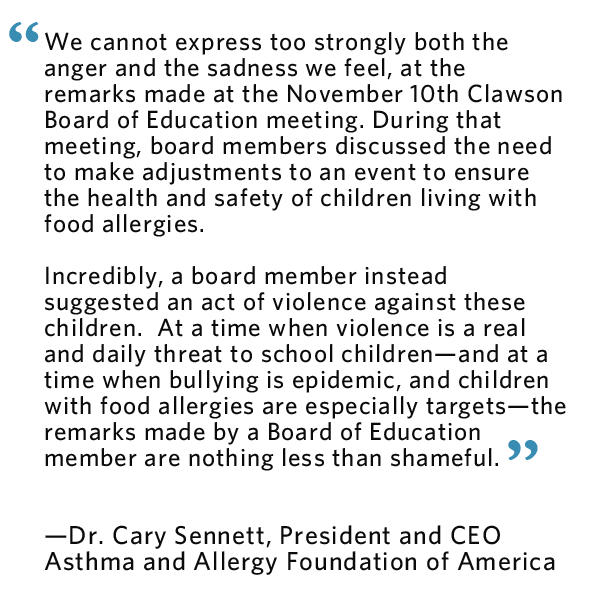 This open letter to the President of the Clawson, Michigan Board of Education is in response to remarks made about children with food allergies by a board member at a recent board meeting. I am writing to you as the President and CEO of the Asthma and Allergy Foundation of America, an organization that represents the 60 million Americans—many of them children—with asthma and allergic diseases, including often life-threatening allergies to food. We cannot express too strongly both the anger and the sadness we feel, at the remarks made at the November 10th Clawson Board of Education meeting. During that meeting, board members discussed the need to make adjustments to an event to ensure the health and safety of children living with food allergies. Incredibly, a board member instead suggested an act of violence against these children. At a time when violence is a real and daily threat to school children—and at a time when bullying is epidemic, and children with food allergies are especially targets—the remarks made by a Board of Education member are nothing less than shameful. Further, the reaction of those board members present at the meeting and also captured on video suggests that they, too, should share that shame. That those remarks were made “in jest” is no comfort. Food allergy is a serious medical condition that can cause death. We do not, and should not, joke about it, nor reinforce the sense of stigma and isolation that children with food allergy already feel. The facts are clear: We entrust schools to reasonably ensure the health and safety of our children. Food allergy is a threat to as many as 6 million children, and those children need—and should expect—support, especially from the school community. What we saw in this Board meeting is, I am sure, the tip of a problem that may run very deep in the Clawson school district. Tone begins at the top: the Board of Education must establish its commitment to address food allergy awareness and training at all levels within the school, including at the school board level. As you consider how to do so, we would like to communicate, directly and unequivocally, AAFA’s commitment to work with you and the school district, both to define the nature and magnitude of the problem, and to bring AAFA’s resources to help you address it. We have a vigorous and robust “Kids With Food Allergies” division that can bring much to your efforts to do so. Please contact me via e-mail or by phone. I am available through the holiday weekend if I am needed; I feel this is an issue that needs to be addressed, swiftly and effectively. Today's update: Two letters are posted on the Clawson, MI school district's website home page. One is from the board of education, and one is from the superintendent. 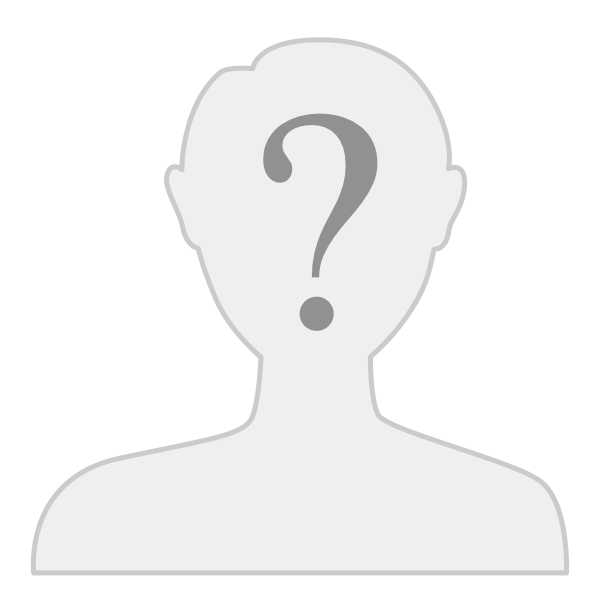 The board member who made the insensitive comments has resigned.